The Iraqi parliament's Security and Defense Committee has called for a review of their agreement with Washington on security, a committee member told RT, citing fears of an "international conflict on Iraq's territory." "We and the US-led coalition have an agreement in the field of security, which has a number of not only positive, but also negative points," Hamid Mutlaq, an Iraqi Parliamentarian and member of the Defense and Security Committee said. "We have demanded to review some of those points, for them to comply with Iraq's interests and the region as a whole in light of the changed situation," he added, saying that the "majority of Iraqi politicians and MPs fear that an international conflict may develop on the territory of Iraq, as a result of which blood of its people will be spilt." "Iraq is already suffering from conflicts," Mutlaq told RT. Should the terms of the agreement on security not be overhauled, it may be annulled, Hamid Mutlaq told Sputnik. "The [Iraqi] government and the parliament need to review [their] ... security agreement with the US, because Washington is not serious about its implementation. We will demand its cancellation," Mutlaq told the news agency. He also commented on the deployment of the Turkish troops in Iraq. "Iraq will be defended only by its sons, but Turkey will withdraw [its troops], since the land of Iraq is sacred, and its sovereignty is a red line. We have a right to give this issue an international character and to demand from the UN Security Council the withdrawal of Turkish troops," he said. Recent media reports of Turkish troops deploying to a base near the Islamic State-held city of Mosul created a stir in Baghdad. 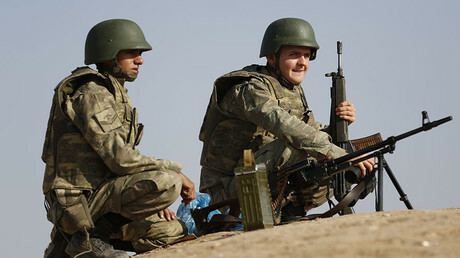 Although Turkey maintains that the troops were part of a training mission coordinated with the Iraqi officials, Iraq's Prime Minister Haider Abadi said on Sunday that if Ankara did not withdraw its troops within 48 hours, Baghdad would take the matter to the UN Security Council. US Defense Secretary Ash Carter added fuel to the fire when he recently stated that the US military would deploy a new special operations force to Iraq. "Iraq does not need foreign ground forces and the Iraqi government is committed not to allow the presence of any ground force on Iraqi land," Abadi replied in a statement. 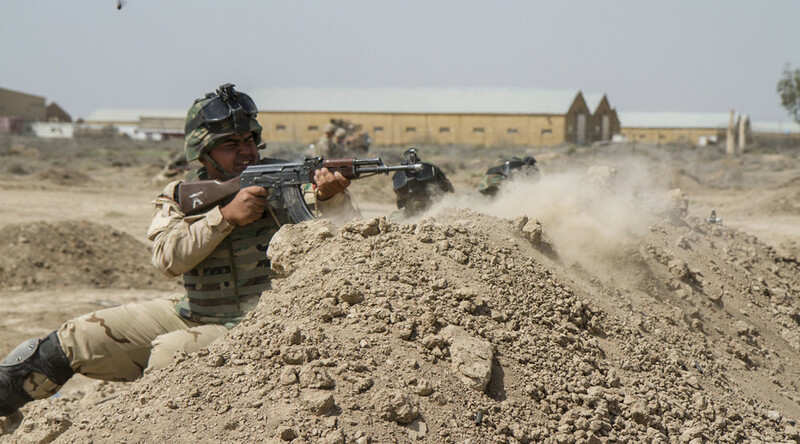 Hadi Amiri, the head of one of Iraq's most powerful Shiite militias, the Badr Organization, warned that any US base in Iraq would be then considered a "target," AP reported. There are currently some 3,500 US troops in Iraq on a training and support mission designed to help Iraqi forces fight Islamic State (IS, formerly ISIS/ISIL). The Iraqi parliament's Security and Defense committee plans to ask for cooperation with Russia in carrying out airstrikes against IS, another member of the committee, Iskander Watut, told Sputnik on Tuesday. "Soon, a meeting [of the committee] with Prime Minister Haider Abadi will be held, at which we will propose cooperating with Russia in carrying out airstrikes against IS and in the fight against terrorism in Iraq," he stated.